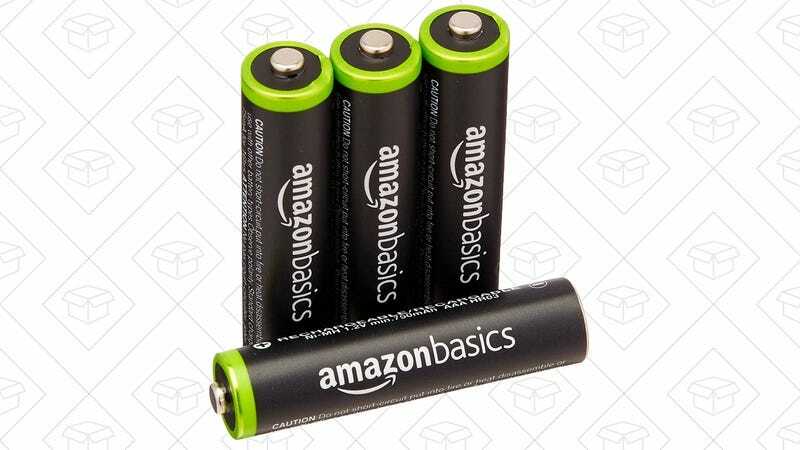 A lot of you have taken advantage of the current AmazonBasics AA rechargeable battery sale, but if you need some AAAs to go with them, you can get four for under $6 today. That’s an all-time low price, and over $3 less than the equivalent Eneloop pack. And if you believe some reviewers, these may actually be rebranded Eneloops themselves. We can’t verify that claim (though like Eneloops, they were produced in Japan and pre-charged with solar energy, which seems really specific to be a coincidence), but whatever their origin, they have great reviews, and a stellar price tag.